Montana questioned the timing of the release of the letter, which came after the ANC had closed the book on its “investigation” into allegations of the Gupta family. Former Prasa CEO Lucky Montana has called the leaking of a four-year-old letter he wrote warning against the “state capture” of the Passenger Rail Agency of SA (Prasa) board by the much-maligned Gupta family a “cunning strategy to drive a wedge between myself and the political leadership”. The Citizen reached out to Montana, who said the letter was being used to drag him into a fight he wanted nothing to do with. Montana said he had always been opposed to the idea that “state capture” existed and referred to his Twitter account, where he lambasted the idea, calling it false, “ahistorical” and without intellectual foundation. “The Guptas are a parasitic section of business but in no way are their interests the dominant class interest(s) of the South African State,” Montana had tweeted. He questioned the timing of the release of the letter, which came after the ANC had closed the book on its “investigation” into allegations of the Gupta family and “state capture”. 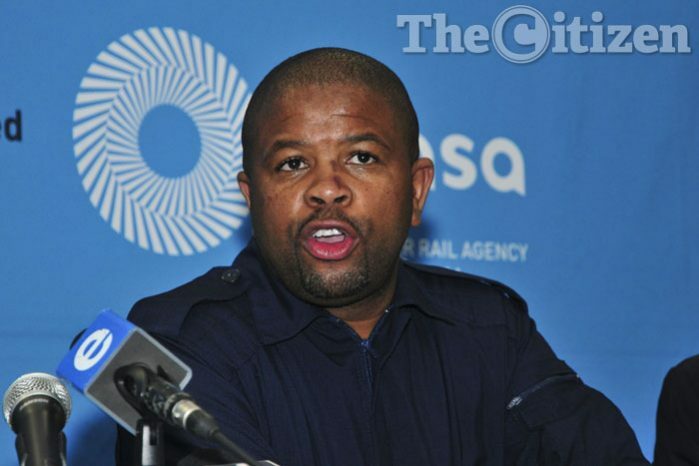 Montana laid the blame at Prasa’s door, saying it was Prasa that had his work laptop and had found the draft letter, which it then leaked to the media. Prasa spokesperson Victor Dlamini denied this allegation. “There is no truth that Prasa or the chairman of the board has ever had sight of this letter nor leaked correspondence of Mr Montana to the media,” he said. Dlamini said it was important to note that Prasa was continuing its investigations into “an extensive list of irregularities which the Public Protector and Auditor-General identified”. According to the Sunday Times, the 2012 letter from Montana to then Prasa board chairman Sfiso Buthelezi accuses the Gupta family and Duduzane Zuma – President Jacob Zuma’s son – of plotting to “capture” the parastatal and a R51 billion tender for 600 commuter trains. Gary Naidoo, the Gupta’s family spokesperson, said in a recorded interview with News24 that the allegations were without foundation and the family had no interest in the rolling stock tender issued by Prasa. Oakbay Investments CEO Nazeem Howa had earlier also brushed aside the notion of state capture by saying that even if the allegations were true (although he denied them), all they would then prove was that the Gupta family was very bad at state capture, because the implication would then be that “they had failed” in the Prasa attempt.